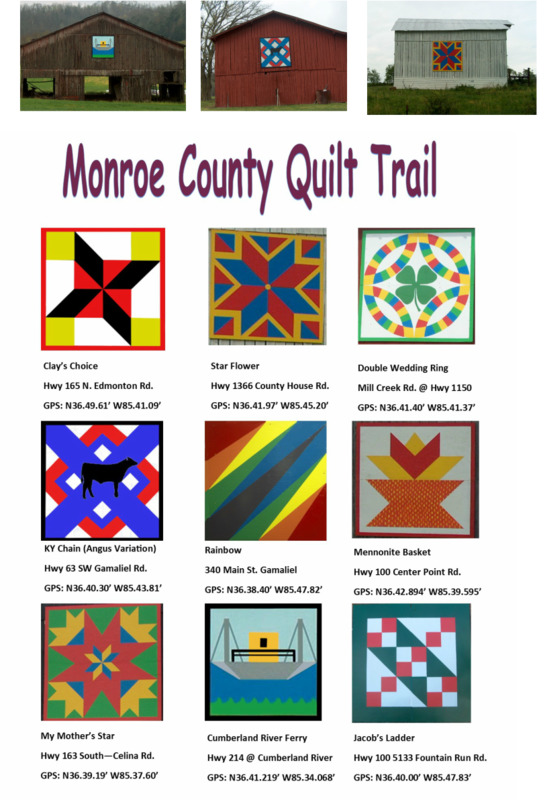 Stop by the Monroe County Economic Development Center located at 202 N. Magnolia St. in Tompkinsville to pick up a brochure on the Barn Quilts of the Heartland Waterways Corridor. Take the drive and enjoy the scenery of the region and the display of hand painted quilt blocks on local barns. Also, in July, we celebrate our quilting heritage throughout the county with our "Drive-By Quilt Hanging" when citizens and local businesses can display their favorite quilts.